It is instructive to review some reasons why the first image has been set aside. First, the first image traditionally has included generalizations about the nature of man. Since human nature is a constant, runs one critique, it is scientifically uninteresting; if men are always greedy and self-interested, but international politics varies (e.g. states aren’t always at war), then the constant of human nature cannot help us explain war. Second, even if we move beyond human nature to study individuals as individuals, human beings are complicated. It’s difficult to generalize across them, and what’s more, even if you could one would still need to aggregate their interests and preferences up to the state level. Trump might be powerful, but domestic politics, the bureaucracy, and a variety of other constraints all limit his decision-making. Finally, scholars tend to be sceptical that individuals are as important as larger structural forces. 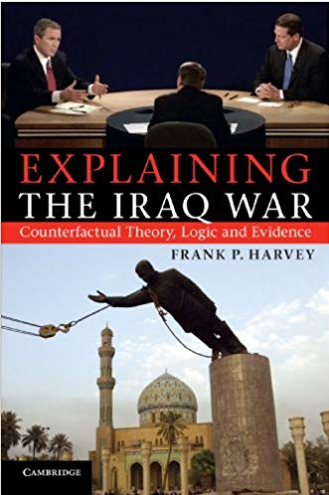 Frank Harvey has argued, for example, that if Al Gore had won the 2000 Presidential election then he, too, would have likely invaded Iraq, for the forces that caused Bush to do so would have impelled Gore the same way. Structural forces are simply greater than any one individual, even Trump. These obstacles to first image analysis are real. Yet, if Trump is any gauge, they are not final. To paraphrase the Bolsheviks: scholars may not be interested in the first image, but the first image is definitely interested in them. In recent years, small coteries of scholars have made significant strides in thinking about the first image rigorously and systematically. Incorporating approaches and methods from diplomatic studies, psychology, sociology, and even neuroscience, these scholars have made significant progress in laying the foundation for a more robust IR theory of the first image. First, they point out that even structural theories rely on micro-level foundations, either implicitly or explicitly. As Rick Herrmann argued in 1988, “Even Kenneth Waltz has been forced to explicate his assumptions at the micro level in order to keep his macro explanation alive.’’ These micro-level foundations often involve some theory of individual action and motivations, as in the case of rational choice theory. As Josh Kertzer has persuasively argued, “Even in its less ‘‘behavioral’ variants… rational choice ultimately has psychological microfoundations.” Put another way, it is often difficult to avoid the first image since the other two levels depend on it. Second, a recent renaissance in the study of diplomacy highlights both the ways in which international structure is constituted by diplomats and leaders as well as the ways in which leaders have agency to enact policy against structural forces. 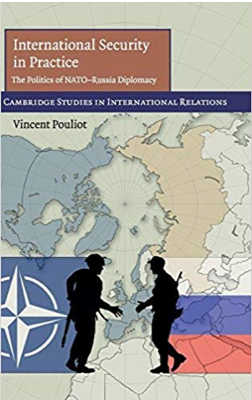 Vincent Pouliot’s study of quotidian practices in the NATO-Russia relationship shows how individual diplomats interacting with one another constitute a security community between the two former enemies. Brian Rathbun shows, contra realist and rationalist expectations, the individual traits and bargaining strategies employed by diplomats and policymakers often explains policy outcomes. And Keren Yarhi-Milo has shown how state decisions regarding the intentions of adversaries are often heavily influenced by the personal perceptions leaders gain through face-to-face diplomacy. Finally, while systematic analysis of individual traits and “foibles,” to quote Byman and Pollack, is indeed challenging, several recent studies have made significant headway. Keren Yarhi-Milo, Michael Horowitz, Elizabeth Saunders, and many others (Josh Kertzer and Dustin Tingley review much of the recent literature) have led the way in thinking about leaders using the tools of modern political science. Recent books like Why Leaders Fight, Leaders at War, Fighting for Resolve, and data sets like Archigos have made it possible to combine quantitative and qualitative evidence in order to systematically study leaders. This scholarship comes at an opportune time. During periods of foreign policy consensus, the first image may have understandably fallen aside. Current antagonisms, though, remind us why individuals–their ideas, their personalities, their backgrounds–are essential. Whether in 2021 or 2025, it is not difficult to imagine IR scholarship returning to its pre-Trump emphasis on the second and third images. But just as Trump is (arguably) reshaping American politics, perhaps his presidency will also force scholars of international relations to reconsider their theories. An extensive groundwork has already been laid. We conclude with a conjecture. Our foreign policy already depended on individuals, whether Donald Trump or someone else. The radical divide between Trump and everyone who came before, though, is going to force scholars to grapple with the gap between what they study and what they think. It is simply too significant to ignore. Donald Trump, we suspect, may be just “powerful” enough to reorient scholars (back) to the first image.